Norway’s unofficial national dish is a pizza. Frozen pizza is a thing invented by Americans, and brought to Norway in the seventies. But in Norway, we don’t just eat any frozen pizza. We eat Grandiosa. It is a Norwegian invention with a mild pizza sauce, and every new generation of Norwegian is raised on it. And as a student in Norway, you inevitably end up eating a lot of cheap food – in Norway that means Grandiosa. It is probably the most ubiquitous food eaten amongst Norwegian students. – I’m a spy, I want to surrender. – Who’s do you work for? – I’m an American spy. – Well, then you have to go to room number 5. – I’m an American spy, I wish to surrender ..
– Do you have weapons? – Please go to room number 7. – I’m a spy, I want to surrender and have weapons. – Please go to room number 10. – I’m a spy, I have weapons, and I want to surrender. – Do you have communication equipment? – Please go to room 20. – I’m a spy, I have weapons and communication equipment, and want to surrender. – Do you have a mission? – Well, go and do it. Stop disturbing people when they’re trying to work! This is obviously an old joke from the Soviet era, but it goes right to the heart of Russia’s bureaucracy . A bureaucracy that is still very healthy and strong. When I shared this joke with the exchange students who are here with me at MGIMO, many responded instinctively: “This is MGIMO’s international office,” they said. Being an exchange student – or “international student”, as it is called here – at MGIMO isn’t easy. The first thing you have to do is deliver your passport to an office for them to copy. Then you must bring your passport, health insurance, negative HIV test and vaccination card to MGIMO’s International Office, where all documents are copied. Once this is done, you’re handed a contract with about ten pages that you have to sign, sign and sign again. All this takes about twenty minutes. When you come back after a day, you get a bill that you have to bring to another office to pay for your accomodation. 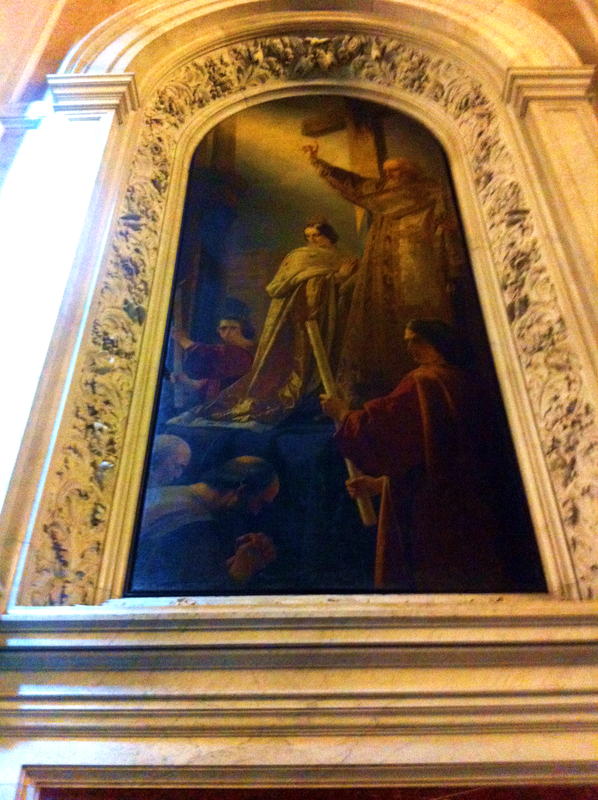 Also, do not forget to go through a fourth office to take a photo. Images must be taken to the international office anyway, but the picture to be used on MGIMO’s access card must of course be taken by MGIMO! Apropos admission cards: Oh my God, how wonderful it will be to receive admission cards! Both the dorms and the university have their own security guards who have nothing to do but check the identity of those who go in and out through the barrier at the entrance. At the entrance to the dormitory, it is sufficient to show an admission card issued on arrival. At the university, on the other hand, one has to show his or her passport. And it must be checked – manually – against a list. If more than three students are going through at the same time-well, you can imagine. Back to the dorms: they’re … OK. The rooms are in a building that is obviously a survivalist from the Soviet era. But it has been refurbished inside. There are rumors on campus that these dorms are the best throughout Russia. I do not quite know what to say – at least they are minimalist. Each room is approx. 15 square meters, including the bathroom. It contains two beds – fortunately, I still live alone – cupboards, and shelves. The bathroom has a toilet and a bathtub, and that’s it. Wifi isn’t available, but fortunately I have access to Moscow’s public internet from my room. Me, in front of a building which housed Lenin and his secretary during the soviet times. The dorms are five minutes walk from MGIMO. It would have been nice, but MGIMO isn’t exactly centrally located. It takes five minutes by bus and twenty minutes by metro to get to the city center. Fortunately, there are several shopping malls around the local metro station, Юго-Западная (literally: Southwest), so you can get most of what you need without having to go all the way to the city center. Nevertheless, the distance to the center means that one way or another you always have to use Russian somewhere on your way back or forth. And for someone who loves this difficult, strange, but beautiful language, the language of Pushkin and Tolstoy, which many English speakers regard as “butch,” and the Russians themselves merely refer to as “очень сложный,” very complicated, that isn’t exactly a disadvantage. 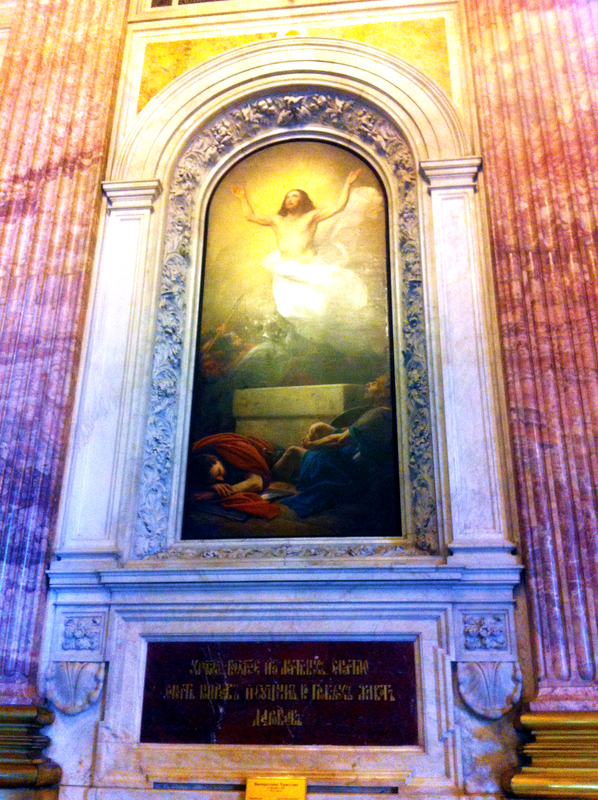 Mural in St. Isaac’s cathedral. 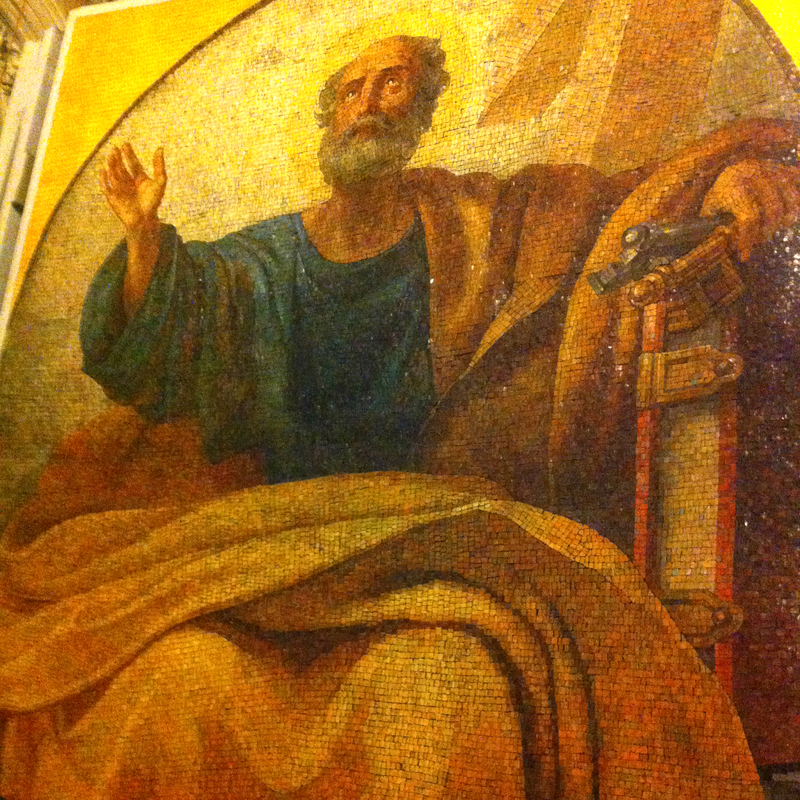 Mural of Peter in St. Isaac’s cathedral. Why are you serving Italian food in Russia, Jamie Oliver? 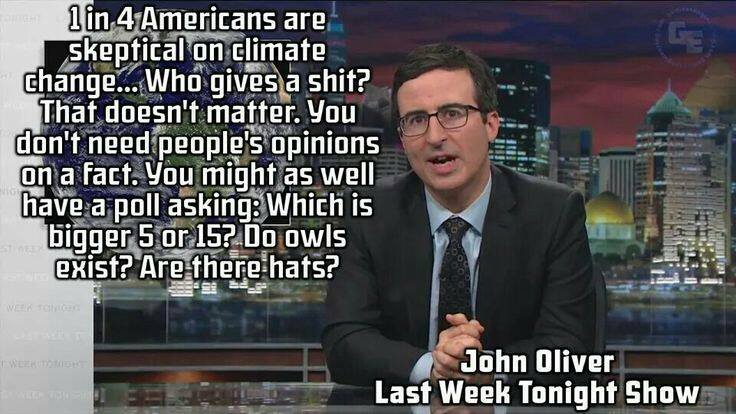 Recently, I’ve started watching John Oliver’s Last Week Tonight, and I’d reccommend that you do as well. He’s smart, talks about interesting topics and is also funny at the same time! So yesterday I got tired of the internet not working on my floor, and I investigated the issue using the Russian I knew and had learned here in Tallinn. I also learned a new word from the receptionist: уже. It means “yet”, and I used it to ask why the internet wasn’t working yet (after she’d restarted the routers), as in: Вопрос: почему интернет уже не работа? 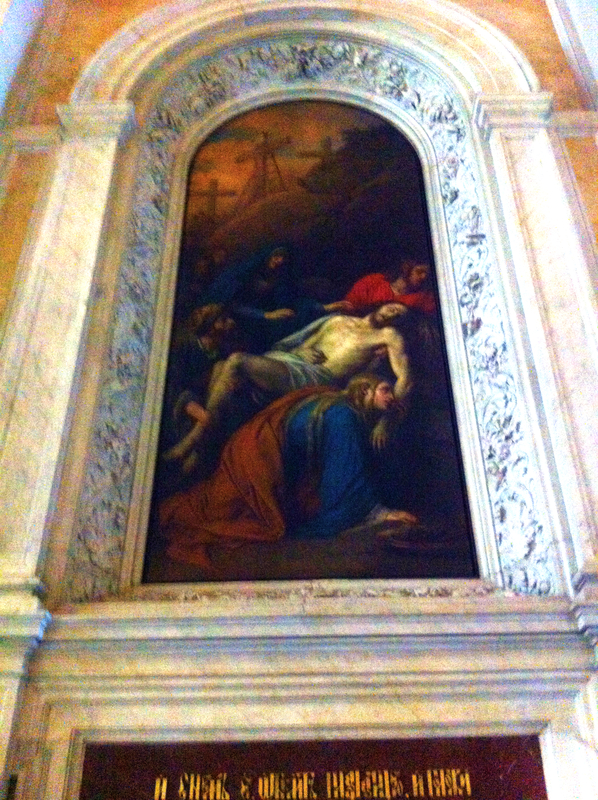 The result was a kind of long winded answer that I didn’t fully comprehend, except for the part about tomorrow. The hotel I’m staying at (Center Hotel Tallinn) is a technological marvel – you should absolutely stay there if you care about an internet connection that works half the time! 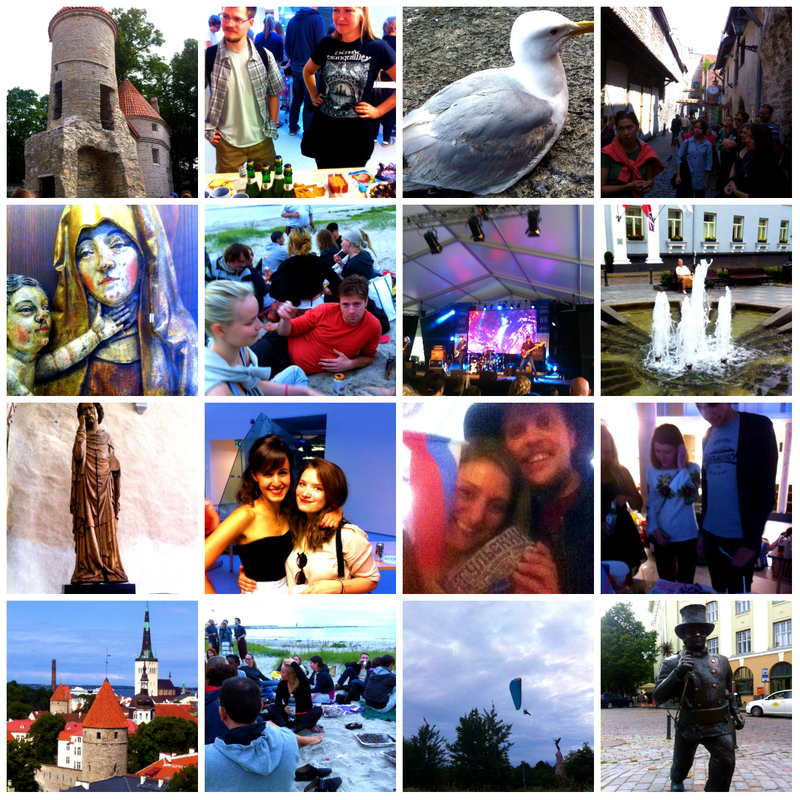 A small glimpse into the things I’ve seen and done at Tallin Summer School 2015.